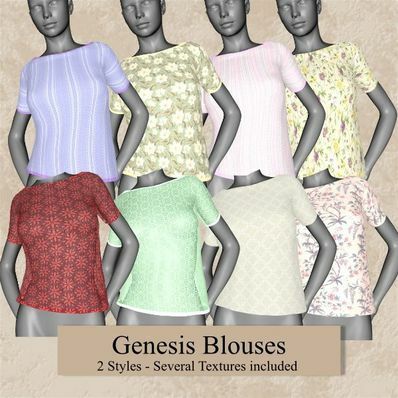 Blouses in 2 styles for Genesis for use in Daz Studio 4. Thanks dear Wendy for creating & sharing these lovely blouses. I so appreciate your MAT zones, thank you.